Want to shift from project to product management? ProjectManager.com.au and global tech education company General Assembly have partnered to offer a $1,000 scholarship towards the General Assembly Product Management course. Supported by Google, the 10-week Product Management course will take you through the product cycle, from evaluating users and managing a roadmap, to creating a minimum viable product (MVP). Throughout the course you will learn to apply customer development and lean principles to test and validate ideas, working with stakeholders and developing metrics to measure product success. Product managers work at the intersection of business, design and technology. Whether developing their own products or advising for larger companies, they determine whether a product is viable from a business perspective, desired by customers, and technically feasible. General Assembly’s Product Management course in Sydney is taught by top practitioners such as Natasha Prasad, product manager of Confluence at Atlassian, and Shane Williamson, startup mentor and senior product manager at companies such as Microsoft, 3 Australia and Optus. Find out more about the $1,000 scholarship by registering your interest. 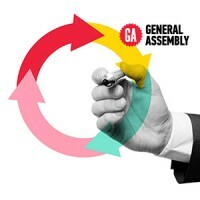 You’ll receive a Product Management handbook and be put in touch with the General Assembly team to answer your questions. The major scholarship is $1,000 and we’ll be offering a couple of secondary $500 scholarships as well, exclusive to the ProjectManager.com.au community. Applications close Tuesday 13 May 2014. From the newsdesk at ProjectManager.com.au. PM News has written 272 articles for us.